A few weeks ago I was asked to participate in a fabulous conference titled Hacking the Anthropocene*. The structure of the conference meant that many short "hacks" were presented to the group - creative and outside-the-square thoughts to help us work toward productive environmental actions/solutions/ideas. I was invited to present a hack on the topic of fashion and "weathering" - how do we weather the impending climate crisis? What role does fashion play during uncertain times? I decided my 7 minute hack would be a manifesto for the future of fashion. There are plenty of other fashion manifestos, (see for example Mistra's Future Fashion Manifesto, Li Edelkoort's Anti-Fashion Manifesto, and Greenpeace's Detox Fashion Manifesto) So why write another one? 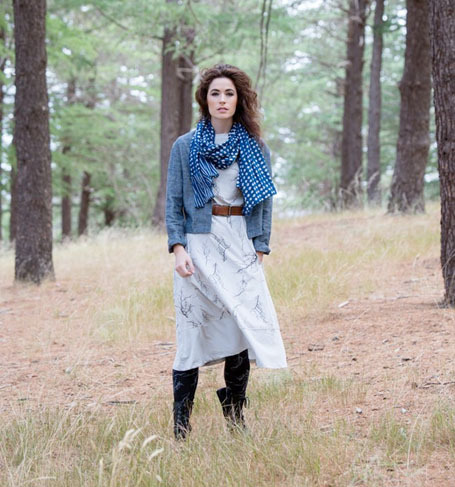 I was influenced by all of these, but also wanted to consider my own research with the Australian sustainable fashion movement and spell out more clearly what I felt were the truly revolutionary ideas. I also wanted to think about what is productive about fashion - I don't want to change it entirely, but instead consider the best elements of fashion that we can use to our advantage. Below I've included excerpts from my presentation, including the key points of my manifesto. This manifesto is by no means complete. In fact, I'd love your input. I don't think that one person, or even one organisation, can write an effective manifesto for the future of fashion. So consider this a starting point and an invitation - read it, ponder it, and share your thoughts with me. I think we can create something really powerful if we all put our heads together. In 2015 trend forecaster Li Edelkoort declared “fashion is dead” in her Anti-Fashion Manifesto. She suggested the industry has become too insular, students are only taught to be individualistic catwalk designers, the pace has accelerated too rapidly, textile design skills have been lost, sweatshops plague the industry, and fashion bloggers have taken over true fashion critique. I agree with many of her grumblings about the industry, but I disagree with Edelkoort’s conclusion that we should distance ourselves from "fashion" and focus on "clothing". I don’t think fashion will ever be dead, and I don’t think we should want it to be, either. It is far more productive to consider the creativity and innovation that are hallmarks of fashion as invaluable skills for solving the many shortcomings of the industry, particularly the social and environmental devastation it causes. 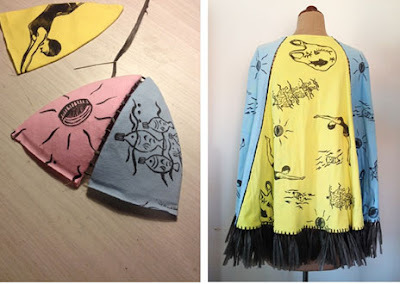 These productive traits of fashion are also useful for weathering the end of the world as we know it – which itself is an ideal time to change the way things are done. Depending on where one lives, weathering the future storms will include adjustments to warmer or colder, wetter or dryer climates, as well as socio-political upheaval. Future fashion solutions may be able to offer both physical and social comfort as we adjust to uncertain times. Rethinking waste is one of the most impactful means of weathering a future with overflowing landfills. Experimental label Maison Briz Vegas was influenced in part by Gay Hawkins’ Ethics of Waste and actively work with waste to overcome the guilt associated with it and work towards an enchantment with waste. As Carla Binotto, one half of the duo explains, “A constant motivation for the two designers is transforming the humble and discarded into something rich and beautiful.” The pieces are created with secondhand clothing that are broken down, block printed by hand, and recreated into new pieces, often embellished with other waste including plastic bags and milk cartons. Other examples of (re)creating with waste include labels that use excess, deadstock or offcut fabric, like Sheila Forever (pictured below), and the recycling of waste into new fibers, including brands like Patagonia, Teeki, and Adidas in using recycled plastic bottles and ocean waste in their polyester fibers. Weathering an unstable future will be made possible by forming strong social bonds – in the fashion industry this can be seen through collaborative kinship - viewing others as partners in a way forward, not strictly as competitors. Patagonia has broken tradition when it comes to dealing with the competition. 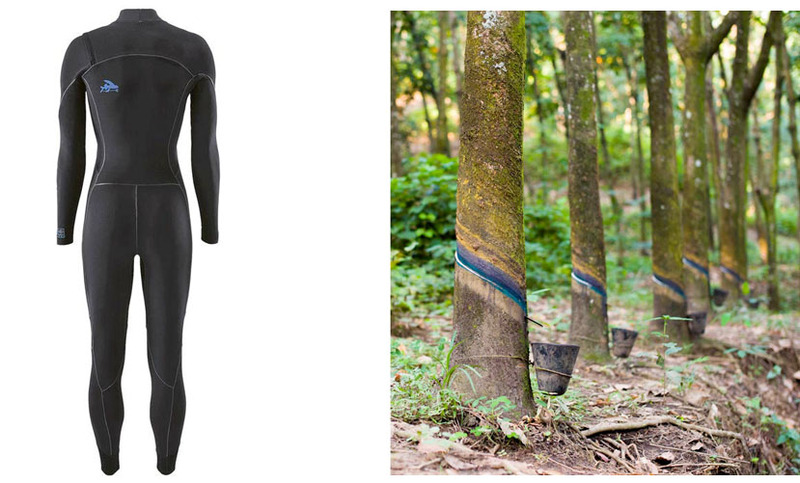 When the organisation engineered new wetsuit material using a natural rubber called Yulex, which is made from tapping trees in sustainably managed forests, they shared the technology via open-source so their competitors. This way any brand that wanted could make a wetsuit with a significantly smaller footprint when compared with the usual neoprene. In my research with the sustainable fashion industry in Australia I have found collaboration to be a hallmark of the movement. Sometimes this is at the top of the market, but primarily amongst entrepreneurs who work together in a range of activities to further the cause of sustainable fashion. This is also represented by the generosity of the labels sharing time and samples with me – an activist researcher – as we all pull together to create change. Creating clothes for living and designing outside of trends is a powerful tool, including designing and constructing quality garments meant to last. Engendering a sense of pride in quality pieces and a confident, stable style is a revolutionary act to counter the endless changes of style from today’s fast fashion market. Australian label Pure Pod operates in this way, creating high quality pieces designed to outlast seasonal trends that make the wearer feel great about themselves. “Transparency” has become a buzzword as fashion brands start to uncover their deep, global and complex supply chains. But a truly sustainable future of fashion means not only knowing who and where your suppliers are, but forming connections with them. Carlie Ballard's eponymous label demonstrates the potential of creating connections with her producers. Through regular visits and frequent communication with the team on the ground her pieces created to the standard she needs and she also has learned how the team prefers to work and has adjusted accordingly. Since there is regular and clear communication, the team in India also feel comfortable sharing their knowledge with Ballard regarding technical aspects of weaving, dyeing, or tailoring that may add cost and/or time to her production. The mutual respect between designer and producer offers a connection on a deeper than merely having traceable supplier lists. The creativity of fashion can be used to provoke new ways of thinking about the world. Maison Briz Vegas offers an ideal example of this through their poetics of waste, which provokes the viewer of the garments and challenges her notions of waste. Feathers made of plastic bags, sequins and embellishments made of trash, and secondhand clothing block printed all provoke new thinking not only about the way we view fashion, but the way we view waste – provoking fashion leads to provoking thoughts about life. In closing – fashion is part of life. To claim it is “dead” and should be forgotten neglects the magic it offers and its impact on how we view the world. Let’s not toss it all away, calling it frivolous, wasteful or self-serving. Tapping into creativity is essential for weathering the climate crisis. Inspiration for responses to the Anthropocene can and must come from all aspects of social life, and fashion offers a prime opportunity to provoke new ways of thinking through its ability to attract, bewilder and inspire. So, what do you think? What would you add or change? Share your ideas and together we can create a more complete manifesto. I also want to say another big thank you to the labels who generously provided samples for me to have on hand at the conference - it made all the difference for the attendees to see up close the possibilities and beauty of sustainable fashion. THANK YOU: Pure Pod, Patagonia, Carlie Ballard, Sheila Forever, and Maison Briz Vegas. *In case you haven't heard of the term, 'Anthropocene' is what we are calling this current geological and climate age - the era during which human activity has had the greatest impact on the earth and climate. Great manifesto so far and it definitely touches on some of the most important points for weathering the climate crisis. I would add something about zero waste and upcycling, as I believe these can be the most sustainable form of fashion. By designing new garments using zero waste pattern making and using materials that we already have available to us- whether that be dead stock or discarded clothing- for upcycling, this allows us to drastically reduce the amount and impact of fashion waste. In the case of upcycling, we are also able to further reduce the environmental impact of the supply chains by cutting out some of the most polluting processes, such as dying. 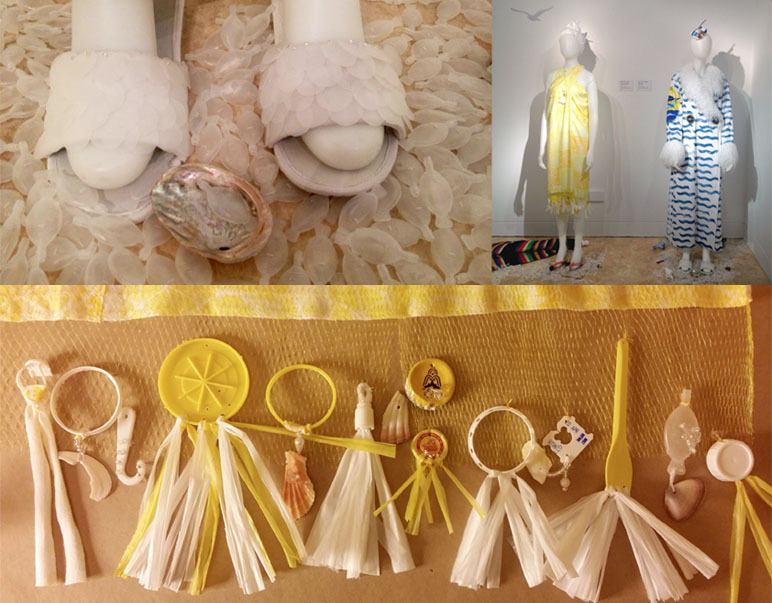 And above all, zero waste design and upcycling requires designers to be creative and to experiment, resulting in garments that are not only sustainable, but bring back a sense of fun and inspiration to the fashion industry. An inspiring read Lisa! �� These 5 guiding pillars are strong and motivating. A positive approach and emphasis on collaboration and connection are what we need in this age when fashion lovers feel confused and disturbed by the industry. We need to (re)create fashion systems and challenge and provoke the dominant culture of corporate greed and rampant consumerism. Power to the people and creativity! I wonder if my definition of fashion is too broad to consider innovation, particularly when it comes to health/wearables. 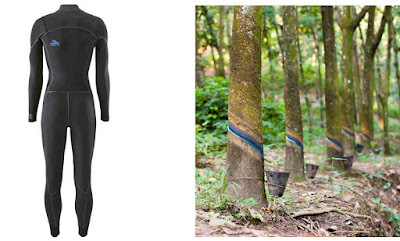 OR swimsuits that tell you you've been out in the UV damaging rays long enough https://www.wareable.com/smart-clothing/best-smart-clothing... but I think we'll see some epic innovation here in coming years. I wonder if we will see the spheres of fashion and health transect deeper in the venn diagram of responding to "the end of the world as we know it". This is great. Making people think of fashion as art rather than merely 'clothing' could be a very powerful thing!